Driving down Ponte Vedra Boulevard feels a bit like cruising back in time. The quiet two-lane road is lined with stately palm trees that give way to a grand fountain marking the entrance to Ponte Vedra Inn & Club, a historic resort that has earned top accolades since it first opened in 1928. 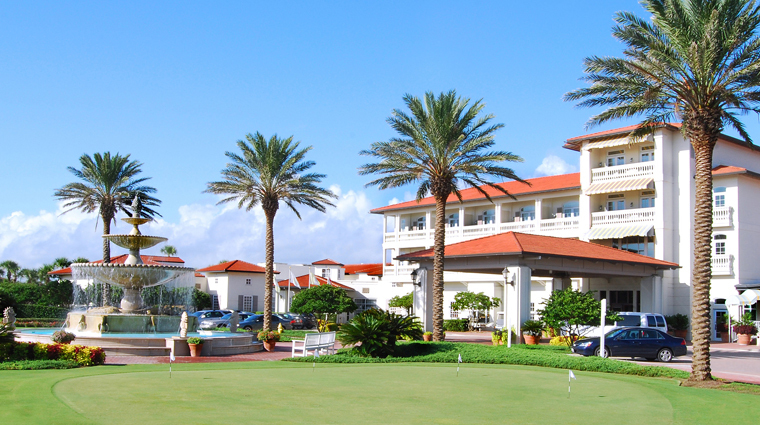 Today, the resort is a little slice of old Florida, where you find respite from a busy world on golf greens, tennis courts and sandy shores. 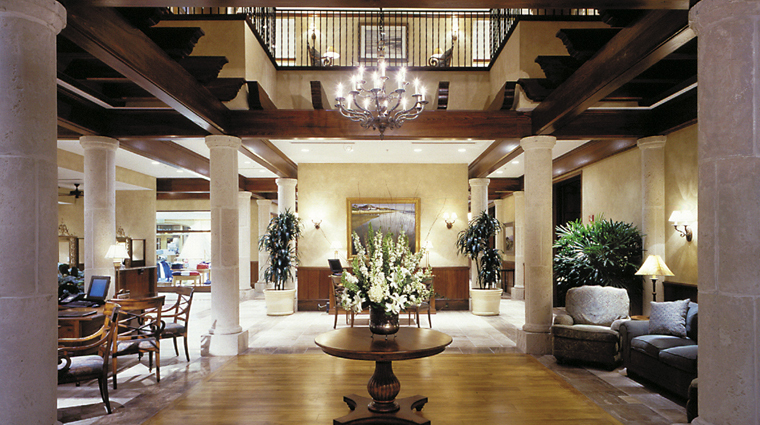 There are myriad modern amenities, of course, but one does not come to Ponte Vedra in search of the distractions that flood everyday life. This is a spot that draws you in through dignified service, impeccable surroundings and the opportunity to pursue the finest thing in life: time well spent. 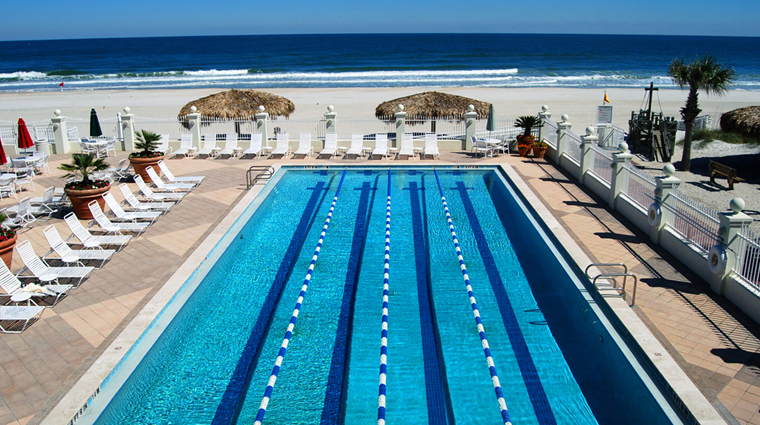 The oceanfront resort is situated almost equal distance from downtown Jacksonville and historic St. Augustine, offering visitors a combination of historic intrigue and coastal charm. 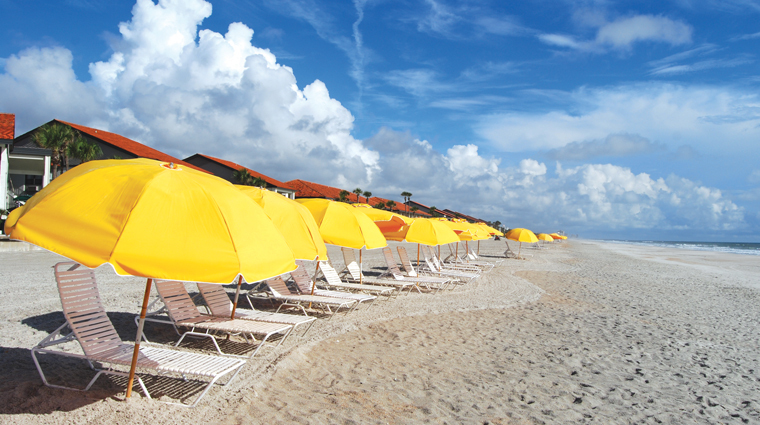 The region’s golf and tennis courts are consistently heralded as some of the best in the nation, and independently owned restaurants offer visitors a taste of some of the best seafood in Northeast Florida, often caught fresh that day. 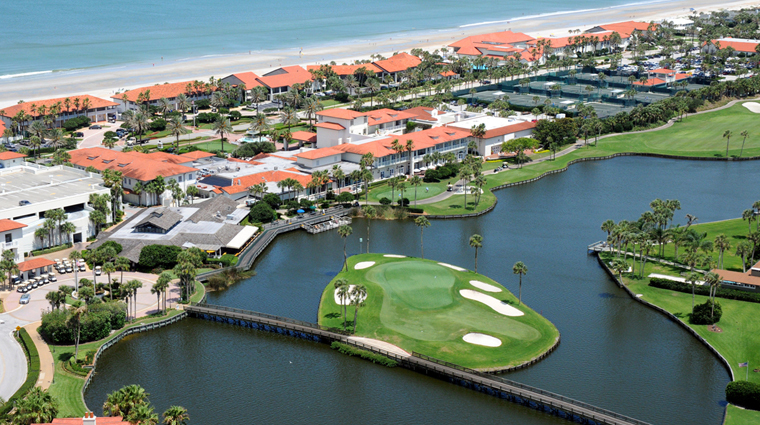 Since most people visit the oceanfront resort to play golf and tennis, fans will especially appreciate the long days and warm weather of the semi-tropical Florida climate. The resort also boasts four pools, including a children’s pool with slides and heated pools for when the temperatures lower slightly in the winter. On-the-go guests can stop into The Gourmet Shop throughout the day for Starbucks coffee, fresh-baked pastries, deli sandwiches or homemade ice cream, while poolside guests can nosh on hot dogs and salad from the High Tides Bar. The property does charge a resort fee.The nightly fee is $20 and covers tips for the bellmen and housekeeping, parking, Internet access and fitness classes in the gym. Local residents can hold memberships that allow them to take full advantage of the golf, tennis, spa and more. You might feel like a visitor at first but service is equally friendly to all. 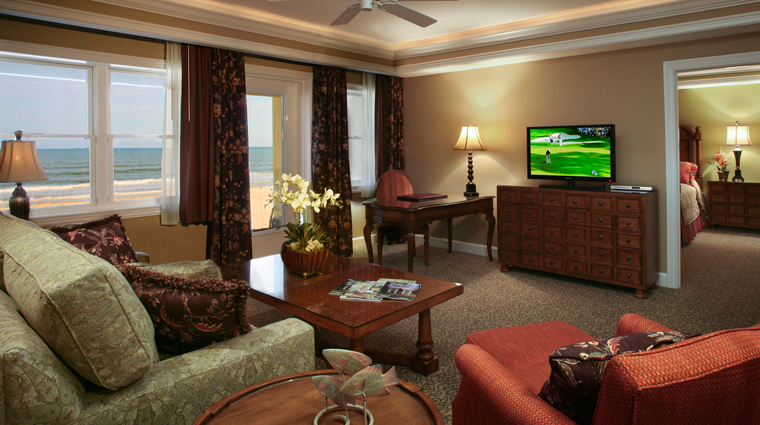 The guest rooms at Ponte Vedra Inn & Club vary, though they all share a classic resort style. 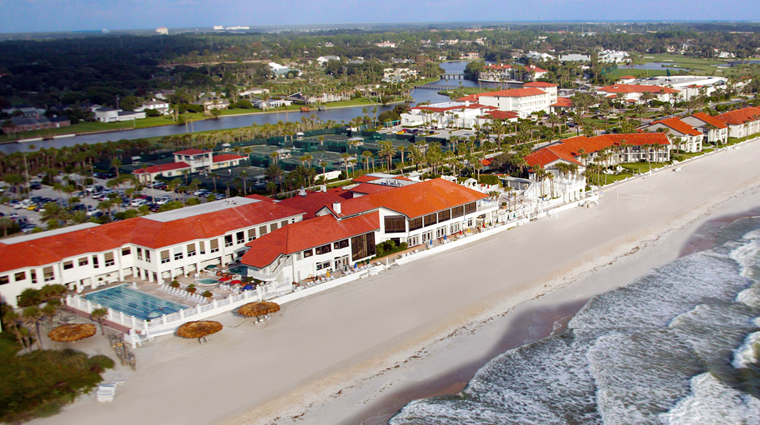 There are a few different room types, including oceanfront rooms and suites and historic rooms located in the main building, which dates back to 1937. For the most part, however, you can expect to find a traditional and classic décor with floral prints, four-poster beds and wood furniture. 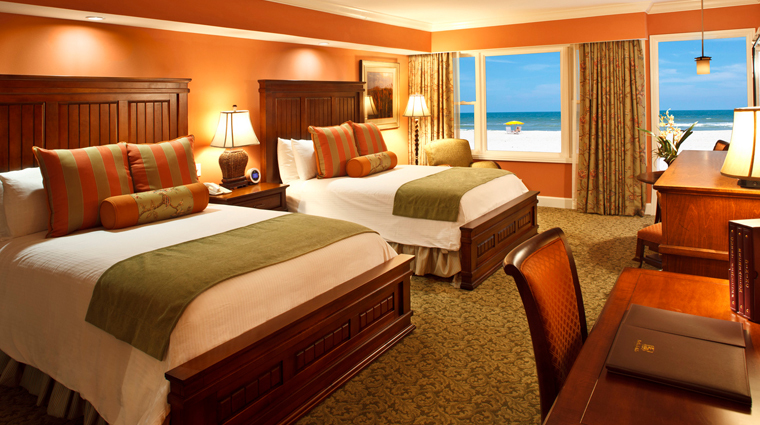 The preferred oceanfront rooms are the most updated and have crown moldings and large entryways as well as stunning views. Don’t expect to find the most modern style here; fabrics and décor are a little old school and that’s the way longtime guests seem to like it. Breakfast is served daily at the Inn Dining Room, an elegant room decked out in white linens with fresh flowers and crystal. Midday standbys such as sandwiches and salads are served daily at The Golf Club Restaurant and on the Surf Club Patio, when weather permits. A whimsical 24-foot vertical chandelier of glass bubbles, seahorse and blowfish greets guests as they ascend a spiral staircase to the host station at The Seahorse Grille, the Jacksonville hotel’s signature restaurant. 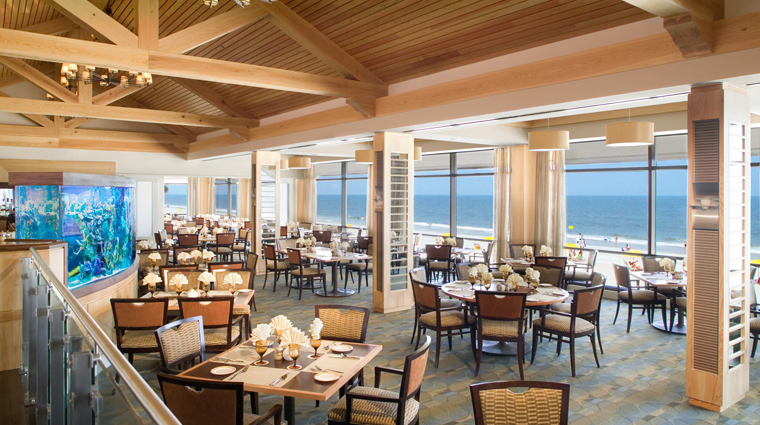 Floor-to-ceiling ocean views set the scene for a casual menu that places heavy emphasis on locally caught seafood. Next door, the Seafoam Room caters to a more refined crowd on Friday and Saturday evenings. Dinner jackets are required for gentlemen, and reservations are recommended. 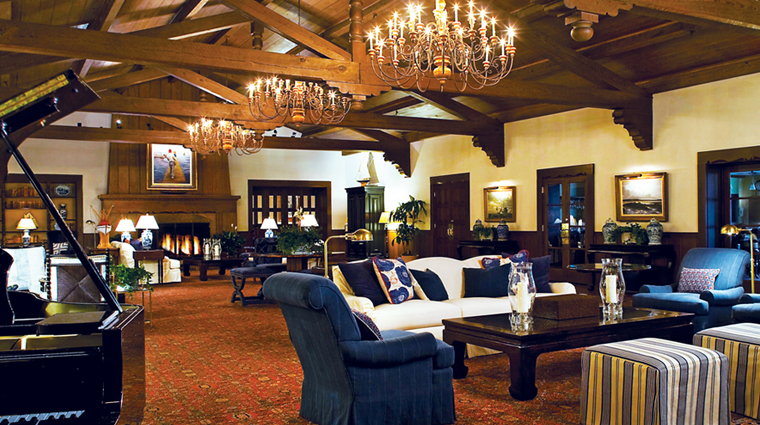 On Friday and Saturday evenings, the Golf Club Restaurant welcomes guests for dinner, as well — the prime rib buffet on Friday evenings, in particular, is not to be missed.